Deliberations of the Directory concerning Father Dangicourt's appointment to the Church in Cuvilly. 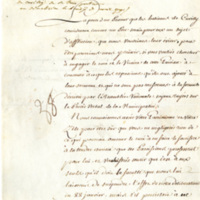 Un lettre de l'abbé Dangicourt, piece 37. 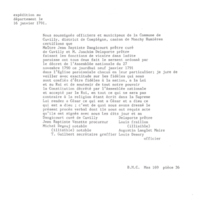 A letter from the Abbé Dangicourt in 1971. Un lettre à l'abbé Dangicourt, pièce 38. 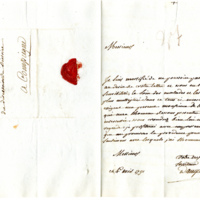 A letter to the Abbé Dangicourt. Anti-constitutional sermon given by the Abbé Dangicout during the beginning of the French Revolution. 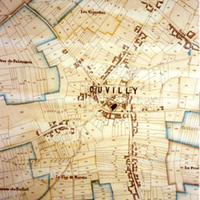 Une carte de la distribution du terre à Cuvilly en 1753. A map of the land distribution in Cuvilly in 1753. 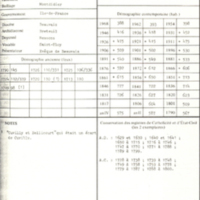 A report of the demographics and a general administrative history of Cuvilly. 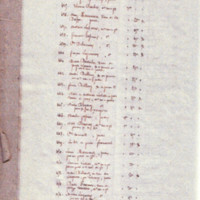 Liste des habitants de Cuvilly, rue de Lataule au no 430 : Jean-François Billiart, Arch. municipales de Cuvilly. 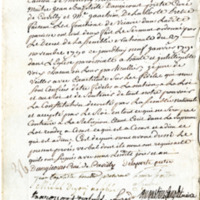 List of the inhabitants of Cuvilly, number 430, rue de Lataule : Jean-François Billiart. Une peinture de l'abbé Dangicourt trouvé au couvent des Soeurs de Notre Dame de Namur. A painting of the Abbé Dangicourt found in a convent of the Sisters. 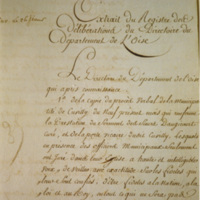 Un transcription du serment de l'abbé Dangicourt en 1791. Mss 169, pièce 36. 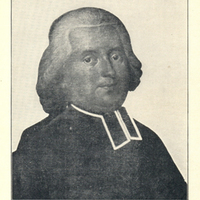 A transcription of the sermon given by the Abbé Dangicourt in 1791. Une carte de la terre de Cuvilly en 1753. 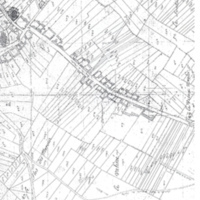 A map showing the plots of land in Cuvilly in 1753. 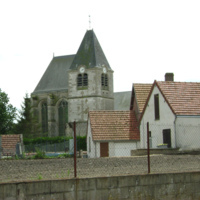 Exterior view of the side and bell tower of St Eloi church in Cuvilly, France. 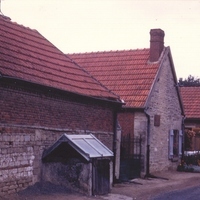 Row of houses along rue Julie Billiart in Cuvilly, France. 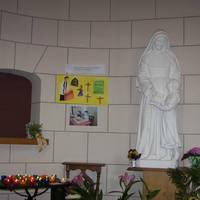 Oratory at the Notre Dame convent in Cuvilly, France with a statue of St Julie with a young girl. 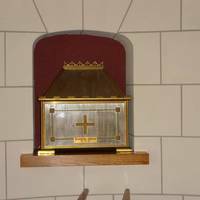 Oratory at the Notre Dame convent in Cuvilly, France, with a reliquary holding a relic of St Julie. A roughly handwritten floor plan of St Julie's family home in Cuvilly, France. A simple floor plan of St Julie's family home in Cuvilly, France. 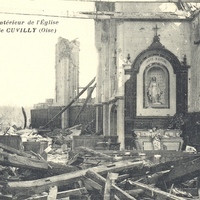 A view of the interior of St Eloi church after bombing during World War I. 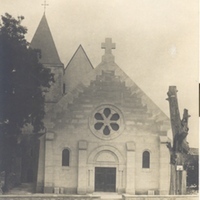 A postcard showing the exterior of the newly reconstructed St Eloi church in Cuvilly, France after bombings in World War I. 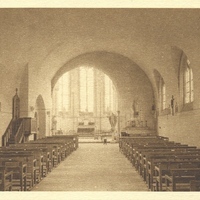 A view of the reconstructed interior of St Eloi church in Cuvilly, France after being bombed in World War I. 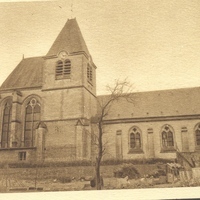 A view of the side and bell tower of St Eloi church in Cuvilly, France after reconstruction from the bombings during World War I.